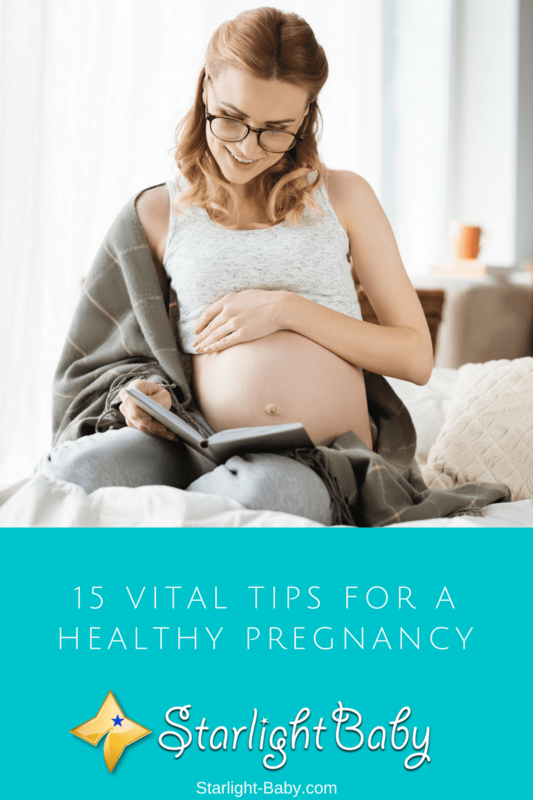 So, if you’re looking to enjoy a healthy pregnancy, below you’ll discover 15 awesome tips that will help! You can buy these vitamins over the counter at your local drug store, or your doctor may also be able to prescribe them. Some women find these vitamins make them feel a little nauseous. If you start to feel queasy after taking them, it’s a good tip to start taking them either with a light snack, or at night time. Some women also find chewing gum or sucking on a hard candy also helps to reduce the feeling of nausea. You’ll also want to avoid alcohol for the duration of the pregnancy. While it is generally safe to consume a tiny amount of alcohol while pregnant, such as the odd glass of wine, it is advised against if you feel you can hold off for nine months. The Sauna and hot tub for example, can both be detrimental to your baby’s health. This is because they can cause the body to overheat pretty quickly. The American Pregnancy Association claims that just 10-20 minutes sitting in a hot tub can cause the body’s temperature to increase up to 102 Degrees Fahrenheit. This is just about safe for pregnant women, but any longer and your temperature could reach dangerous levels. It’s also important to sit away from any airbags if possible. Finally, one thing you’ll want to do is research as much as possible. Read baby books, look at articles online and join parenting forums. You’ll want to gather as much information and tips as you possibly can. However, it’s also important to note that no matter how much research you do, it’s never going to fully prepare you for the journey ahead. It does give you a head start though! When I found out I was pregnant I started getting tips and advice from everybody and it was overwhelming to follow! This list is straight to the point and has great tips. One of the most important tips for me is the fourth one about being mindful of what to eat. As a mommy to be I always hear that I need to eat for two and, although I’m very grateful, I get offered a lot of food that is either not nutritious for myself or the baby, or even dangerous. I find this a good read not just for future Mommy’s but also for those who are close to someone who is pregnant so they can inform themselves. A lot of people want to be involved and support their pregnant relative or friend and don’t know how, this can give them an insight! True, Jordana. The tips here are a few of the most basic things a pregnant woman needs to remember. And yes, you’re right about foods to eat. A pregnant woman should be conscious of it because the food will also be taken in by the baby. Definitely no to junk foods and sodas. More of fruits and vegetables, as well as milk for moms-to-be. This article reminds me the good memories during my pregnancy. Prenatal check ups, taking of vitamins, excercise, stress free environment, everything that is needed. Pregnancy is another milestone of womans life, it needs awareness and extra care. Don’t be too worry just enjoy your pregnancy. Alot of physical changes is expected but everything will be worthy. Happy mommy is happy baby. I also enjoyed my pregnancy, and I would say, I’m probably one of the lucky few who didn’t have a difficult pregnancy (except for the long hours of labor). I would say my morning sickness was normal except for my oldest child where I felt like puking all throughout the day during the first three months. Other than that, nothing major. You’re right about having a stress-free environment during pregnancy because stress can hugely affect the health of both mom and baby. Reading this brings back memories when I was pregnant last year. I surely thought that I was prepared for every step. Boy was I wrong! Everything that I was taught quickly came into full play, and there were times that I just had to “wing it”. This entire list is very helpful, and encouraging to all moms before, during, and after the pregnancy. This is awesome advice that ACTUALLY helps, and lighten the worries. Thank you so much for giving these amazing tips on how one can be able to have a healthy pregnancy lifestyle. I mean with these tips, I would be able to teach my future wife on ways that she can enjoy her life during the time of her pregnancy. Wow! Sounds good. Yes, do keep your future wife informed about this. It would greatly help her and I’m sure she’ll appreciate the tips. Pregnancy is not an easy stage but it can be made bearable by these tips and by the love of people around us. Informing her of these tips remain one of the best information I can offer to her since the lady I’m planning to marry is young like I am. That’s the reason I’ve always made out time to visit the blog on a daily basis. Start to create birth plans sounds exciting. It’s a detail where do you plan to gave bith, taking notes of the first things for the baby must have, the name and where did you get it from, the brand that you gonna look for and qualities. This is the time to be more detailed of everything. You will probably asking how other experienced with certain formula or diapers. It’s a start up of being hands on future mom. That’s true, sweetpot81. All the things you mentioned should be given attention. And pregnant moms should never ever forget to take care of themselves and their babies because it is the most important preparation – being healthy and strong for the big day! Upon reading this, I remember the time when I was pregnant with my first child. Eating healthy foods and avoiding stress are very important. Love, care and support of our family are important as well to have a healthy and happy pregnancy! You’re so right, Chelley. We should strive for a stress-free pregnancy because stress can wreak havoc into our health and also of the baby. Stress also tends to lower our resistance to diseases. Pregnant women should never get sick as much as possible because medications are a no-no as they could terribly affect the development of the unborm child. I think many women need these tips, a lot of them do. Sorry to say this, am not woman so I have no idea the tremendous amount of pain and stress women go through during pregnancy but some women simply don’t look good during this period…no harm intended. I think the tips are absolutely recommendable but I’ll like to add one more which I think will fit into point 11. “Dress yourself”. I’ve noticed that a lot of women here where I come from tend to loose touch with their wardrobe during pregnancy. I understand that pregnancy itself effects certain changes in a woman like the feeling of being lazy and lost of taste in many things, but I think it’ll be great to see a pregnant woman dress with style every now and then. I agree, Rumu. Pregnant women should also be mindful of the way they look even if they don’t feel like dressing up or putting makeup on. The choices in clothing though are a bit limited as compared to regular clothing but there’s always a variety to choose from. These are amazing tips for pregnant women. There are different symptoms and morning sickness incur when pregnant unfortunately every pregnancy is different. It is hard to fight the cravings and all the changes in the body. So true, Mary Catherine. Every pregnancy is different so a woman cannot really generalize or predict the situation for her succeeding pregnancies. The first pregnancy may be hassle-free, the second may be the exact opposite. And not every woman who gets a cesarean operation with her first baby will never have a normal delivery. When my wife was pregnant with the 1st and 2nd daughter. I also wanted to know more so that I won’t give her something that can cause harm to the babies. And I remember reading somewhere that she should not drink carbonated drinks and coffee, and instant food and drinks. And because of that both of the babies came out so much healthier and she was able to provide breast milk not needing any other formula milk instead. Just sharing this out to all that knowing a lot of things by reading or watching videos on the net like this article will help you a lot in doing what’s best for parents and the kids. Right on, melvs. You’re one of the few knowledgeable and concerned dad and hubby. Bless you! We truly appreciate your effort in understanding a woman’s pregnancy and her overall health as well as that of your babies. Not many men would go the extra mile to care for their other half that much. Thank you. And yes, carbonated drinks, coffee, and junk foods are a definite no-no! This tips are very helpful especially now that I am considering to become a mother soon. Taking vitamins is really good since we are not aware of what is deficit in our system. They will help to guarantee that the baby will develop well. The point you mentioned regarding the shrinking of a pregnant woman’s brain really intrigued me. It’s my first time to learn about this so I looked it up and apparently, there is indeed a significant “shrinking” in the brain when a woman is pregnant. Researchers used a computer imaging device (an MRI) to see the brain and saw a reduction. Wow! They did say the shrinkage is the systems way of preparing the body for the humongous task ahead. As for taking vitamins, I totally agree 100%. I have experienced these with my kids and found that my kids for whom I took regular vitamins for have a stronger immune system as compared to one or two of them where I sometimes skipped days in taking vitamins. Vitamins should never be taken for granted when one is pregnant. It’s for the baby really. The information embedded in this article is truly educative and quite interesting. It gives a complete description on how a pregnant mother would make sure to keep good health for both herself and the baby. I have a pregnant friend whom it happens to be her first pregnancy experience, as I have found this article very useful I would definitely ensure to relay it to her for the benefits it would offer her. I really appreciate the effort the writer put in constructing and updating this for all of our reading. Thank you very much for helping us spread the word and help those who need the information here. The health of both mother and baby is of great importance so your friend must follow the tips here. When my wife was pregnant, she followed all of these. Once she tested positive, we went to the gyno and asked questions about healthy pregnancy. We were told to do USG in the 6th week. When she was six weeks pregnant, she performed USG and we went yo the doctor again. He said the fetus is good and in order to help it gorw better she needs to take Folic acid. She began taking folic acids. When she was in the third month, she began taking iron and calcium as well.